I think my collection has been getting overboard recently. But then again. You can never have enough knives. 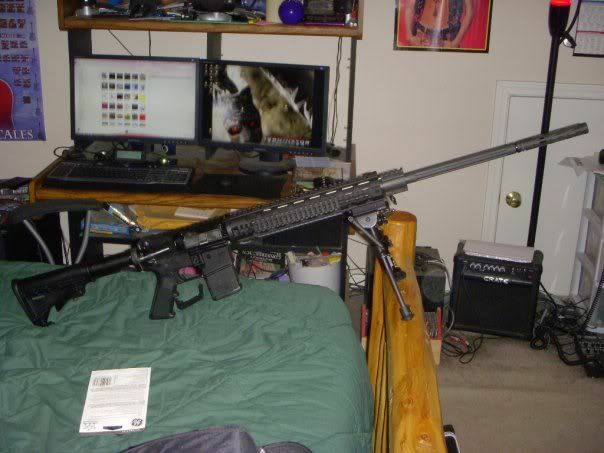 Is new .40 cal carbine. Had to paint it because previous owner was a fucktard and did a "red tiger" scheme. I hate idiots. I really like that top one. Got it half price at Cabelas. Bottom one is just a simple folder. 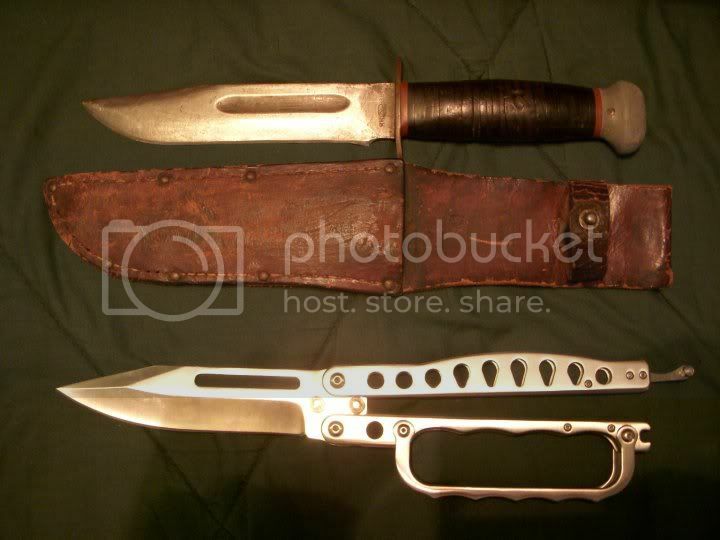 Trench knife repro and a ridiculous...thing. I hate you. And...erm...who are you? In the third pic, the knife you are holding looks like the giant blades that are used in star trek. Pretty sweet. 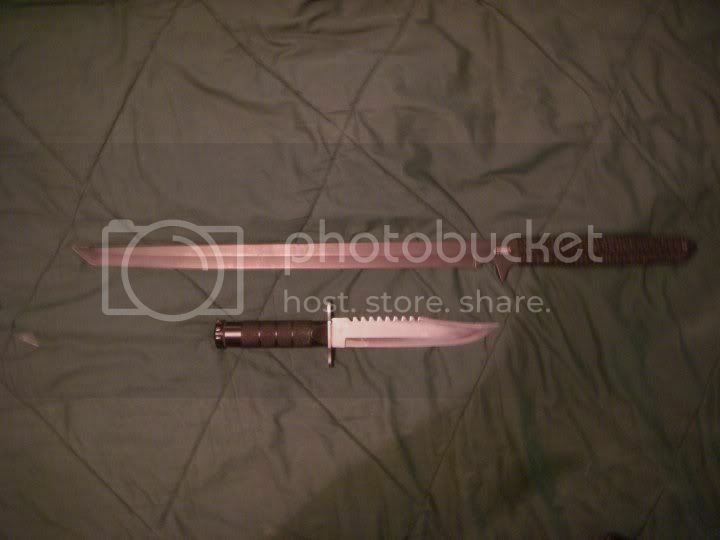 Havik wrote: In the third pic, the knife you are holding looks like the giant blades that are used in star trek. Pretty sweet. Hey Socrates, do you have a butterfly knife? Cool. 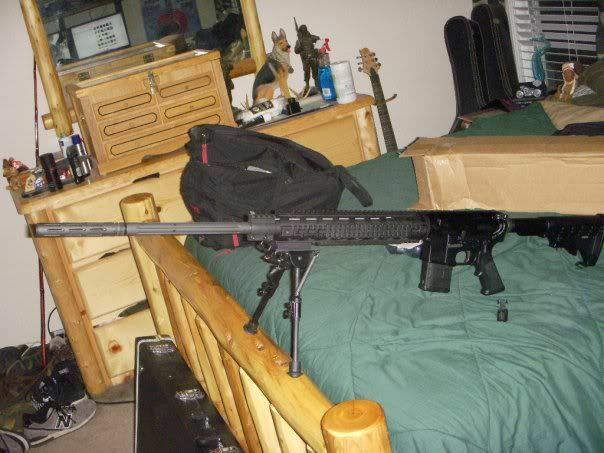 Sometime in the future I'm gonna get the 1858 remington from cabelas. I'll post when I get my Benchmade 42, it's getting mailed to me in about a week. sorry to say it, but those knives made me laugh. they look like they'd fall apart at the first serious use they get. 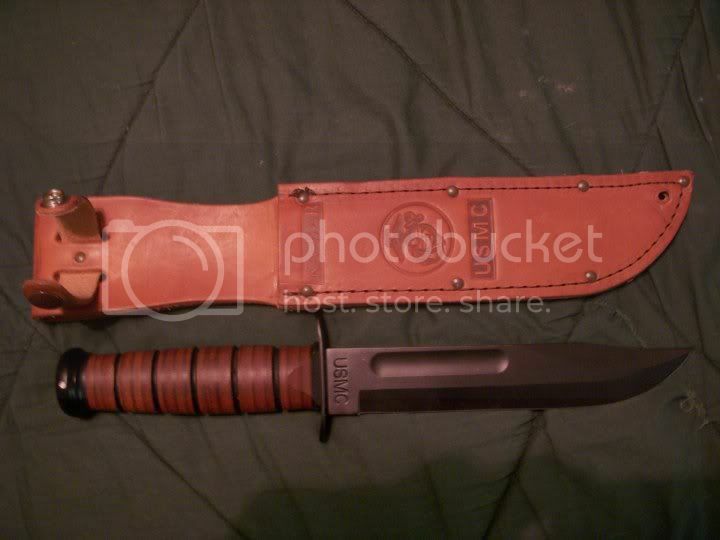 I can't speak for all the knives but if that trench knife is built to the standard, it won't fall apart Adam. They used those back in WW1, awesome things. well, considering plastic wasn't invented until 1950, it's pretty safe to assume that it is a replica. my guess is that it uses 440 stainless steel. Nicobbq wrote: Hey Socrates, do you have a butterfly knife? and now i'm just being a whore. 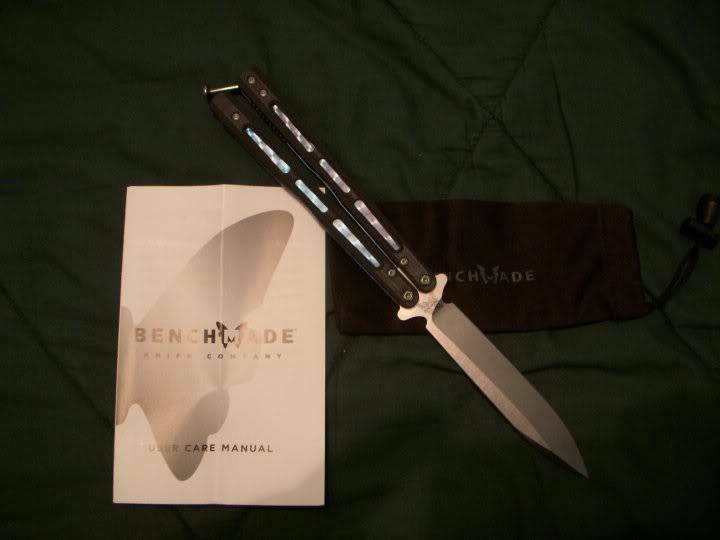 yeah, those benchmades are pretty awseome. LOOK IT'S ADAM!!! 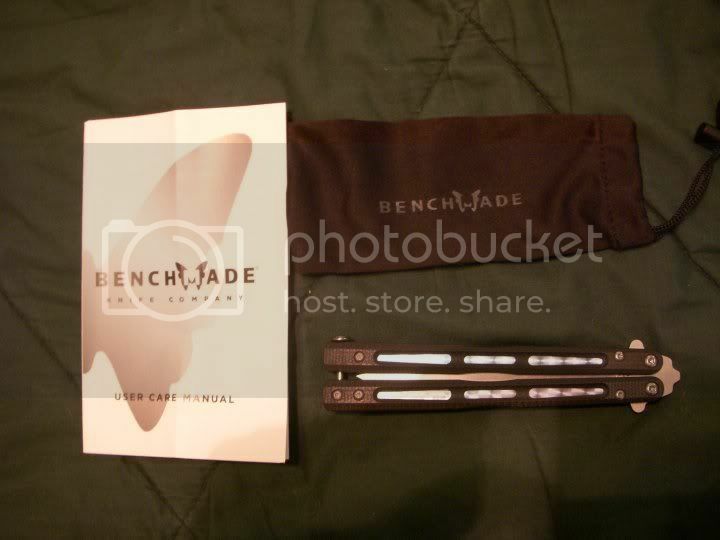 wrote: yeah, those benchmades are pretty awseome. depends on the time of year. i go to school in california. LOOK IT'S ADAM!!! wrote: depends on the time of year. i go to school in california. mmm. feels bad man. i would hate to live in kommiefornia so much. i don't have THAT much food. and we all know how much food boolet eats. He clearly is the best out of all of you at pwning noobs in real life. that's just LA and San Fransisco. the rest of the state is sane.